Description: 2.1m internal diameter earth dome designed as a sauna or warm room. 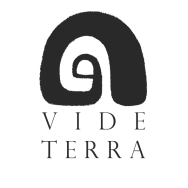 The dome has been realized during an superadobe earth dome workshop organized by Vide Terra and Cal-Earth Institute. The dome is plastered with cocciopesto. Description: 2m internal diameter earth dome designed as a shelter for laying hens. The reed roof made with local materials assures protection from the rain and an efficient thermic insulation for Summer and Winter. Description: 2m internal diameter earth dome. Internal height 2.20m. Half of this dome is built below ground. Designed to cool passively it functions as a small summer bedroom. Additionally to a side window the dome has a skylight the diffuses the light indoor. Description: A vault made with superadobe designated as dormitory. The internal dimentions are 3m x 4m (2.8m high). The walls are made of earth while the "roof" is made of stabilized earth. The front and back walls are made of strawbales. The vault was plastered inside with earth and straw and outside with stabilized earth. It was designed to perform well without the use of any heating or cooling. It utilizes a solar passive strategy, in combination with thermal mass, insulation and natural ventilation. Description: 7 square meter small earth house composed by 2 domes connected to each others. One dome is 2.5m internal diameter while the second dome is 2m. Description: Earth emergency shelter realized in a chestnut forest. It is an half dome big enough for two people. It has been realized with single bags filled with earth. It is a demostrative structure built at the Sonica Dance Festival. It was built in 2 days by 3 people using the earth and the tools found in the forest. Description: Earth garden wall built with the superadobe technique. The wall was plastered with cocciopesto. Description: This earth installation was built in a public park in collaboration with Donato Mancini. It is a spiral which embraces a black locust tree. The spiral it is both a creative landscape element and a functional table and bench. Description: Garden raised bed built during the one day course "Introduction to superadobe" organized by Vide Terra. Description: Earth bench plastered with cocciopesto. Description: Earth dome built with the superadobe technique. This is a 2.22 m internal diameter dome. It was realized during a superadobe workshop in Tunisia. Description: Earthquake proof emergency earth domes realized with superadobe. These domes can be built in a day and are ideal for creating fast and secure shelters in post earthquakes events. Internal diameter 1.8 meters.